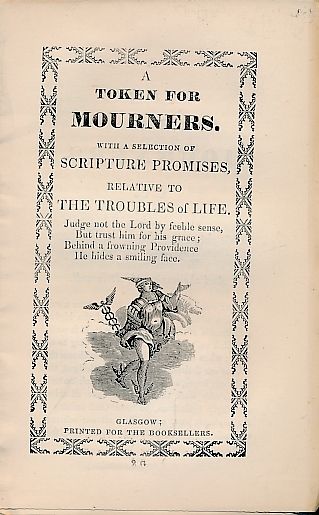 Barter Books : Chapbook : A Token for Mourners. With a Selection of Scripture Promises, Relative to the Troubles of Life. 170 x 110 mm (7 x 4 inches) - 23pp. G: in Good condition without dust jacket as issued. Uncut.